We all know the truth of the saying on this absorbent stone car coaster. 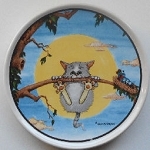 This coaster with a grey cat will keep your vehicle's cup holder dry by absorbing condensation from beverages. The handy finger slot make it easy to remove the coaster for cleaning. 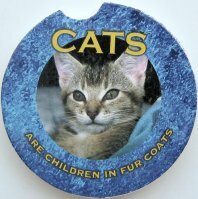 This cat car coaster is 2 1/2" in diameter.